Commuting from work these days gives me plenty of time to get stuck into a good book. My journey is supposed to be just 12 minutes each way but thanks to the generosity of South Eastern Trains, they want me to get my money’s worth so it is regularly 20 minutes plus. 40 Minutes a day, 200 minutes a week. That’s about a book a week. Whilst not all of my reading habits are about the beautiful game, there is a fair few that are. So here are the top three books we’ve tucked into this year. Back in Mexico 1986 the Danes arrived with no expectations, no hope and a garish kit that made us all adjust our TV sets. They were in a “group of death” with a Francescoli-inspired Uruguay and the West German machine….oh and Scotland. Few people knew anything about skipper Morten Olsen, a very young and slim Jan Molby, a whipper-snapper called Michael Laudrup and maverick striker Preben Elkjaer. This fantastic book charts their development as a team during the early 1980’s, how they humiliated England at Wembley and qualified against the odds for their first World Cup in 1986. 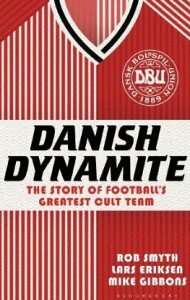 This book isn’t just about Mexico – it is about Danish culture and the rise of a team to world prominence, who were skin-tight nylon shorts. 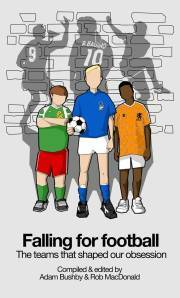 If you want to get an understanding of one of the most powerful footballing nations compared to their size then this is the book for you. For those of us of a certain age it certainly stirs up some great memories of football BPL (Before Premier League). My favourite line? “They were a team of rock stars in a polyester kit”. My one disappointment was that Keoghan didn’t go lower down the footballing pyramid to see how it works at the real grass roots level. I’m pleased to say that he has since popped along to the Dripping Pan to put that right! 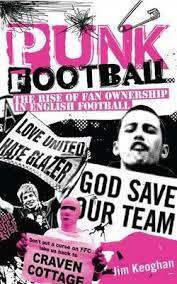 Nevertheless, this is a great book and should be read by every fan who is starting to doubt the motives of their club’s owners. There is inspiration in every chapter that the future can be bright and can be driven from the bottom up. Tomorrow – Day 4 of our TBIR Christmas and our top three worst games of 2014.